vasterom: Are You Really Hearing Voices Or Is Your Mind Trying to Find Patterns in the White Noise? 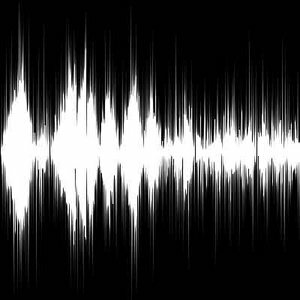 Are You Really Hearing Voices Or Is Your Mind Trying to Find Patterns in the White Noise? It is fairly well known by neurologists and neuroscientists that the human eye uses the brain and memory to fill in the blanks as the eye focuses. This allows you to turn your head very quickly and not see a blur, or to look at an object and quickly recognize and discern what it is. You may see a small truck in the distance, and your mind goes through its memory of what a pickup truck looks like, and as your eye starts to focus it does what they call "frame bursting" and it starts to fill in all the blanks, and as you focus more and more your brain is refining what it is seeing. This works quite well, but I'd like to discuss with you a potential similar theory with regard to the sense of hearing. Have you ever heard the sound of a fan motor in a room and the moving blades and perhaps other noises in other rooms, and your mind is trying to figure out the patterns of how these noises are interacting. Sometimes it seems as if there is a similar background noise to a group of people chattering away in a coffee shop or at a party. All the while, you realize that there are no people talking, but your mind is trying to make sense of the patterns in the white noise. Have you ever looked at a ceiling, tiles, or the grain in wood - you look at these things long enough your mind thinks it sees a picture of a face, the shape of a dog, or some other similar shape. What your mind is doing is what I discussed above - it is trying to makes sense of the patterns, even though they may be random. Your mind is frame bursting its visual memory. I would submit to you that your mind does the same thing with noise, and that your mind is working very diligently to try to make sense of the sounds. Why does it do this? Well, your mind doesn't turn off, even when you are sleeping it seems to be defragging so to speak. Your sense of hearing never turns off, and this is probably an evolutionary throwback because humans to stay safe had to be able to hear sounds, perhaps footsteps, or animals which might be a threat, therefore alerting the brain to wake up the human to defend itself or to run. Perhaps when you dream and you may have experience with this, something is going on in the background while you are sleeping it will affect the way in which your dream evolves at a subconscious level. Whether you are lucid dreaming, in REM, or just sitting silently listening to the noise, no matter how slight - It could be cicadas outside, wind in the trees, it might be a buzzing sound of electricity in the air, or it might be nearly undetectable ultrasound interacting with the other noise - but your mind is trying to make sense of it all, it's trying to discern patterns, and is matching that to your memory of sounds, spoken language, and everything else that you've ever heard. In that case it can't match what isn't there, but it tries to discern a possible pattern. You aren't hearing things, it's your mind trying to bring it into focus, just as it does with visual images in frame bursting. Now then in this theory of mine there are some brains that are quite active, and memories which are quite adapted. It's hard to say if this is another form of intelligence, or a process that all humans are capable of, if they would only listen to the vibrational noise and sounds around them. I'd like to leave you with all these thoughts, and I hope you will please consider all this and think on it. If you have any additional comments or questions I hope you will shoot me an e-mail.